In April 2016, North Korea displayed a new variant of Scud with a maneuvering reentry vehicle (MaRV). Its first known test on May 28, 2017 was considered a success. The U.S. government has designated the missile as the KN-18. North Korea first displayed the KN-18 at its annual military parade in Pyongyang on April 16, 2017, where the missile was seen carried on a tracked transporter erector launcher.1 Its first known flight test occurred on May 28, 2017. An apparent success, the missile flew around 450 kilometers before landing in the Sea of Japan. The KN-18 features distinctive forward fins, presumably to add a terminal guidance capability for increased maneuverability and accuracy. During its flight test, the missile demonstrated a range of around 450 km, but it is likely capable of exceeding this based on the ranges of North Korea’s other single-stage Scud variants. Missile Defense Project, "KN-18 (MaRV Scud Variant)," Missile Threat, Center for Strategic and International Studies, April 18, 2017, last modified June 15, 2018, https://missilethreat.csis.org/missile/kn-18-marv-scud-variant/. “Is North Korea Working Toward a ‘Carrier Killer’ Anti-Ship Ballistic Missile?” Ankit Panda, The Diplomat, April 18, 2017, http://thediplomat.com/2017/04/is-north-korea-working-toward-a-carrier-killer-anti-ship-ballistic-missile/. 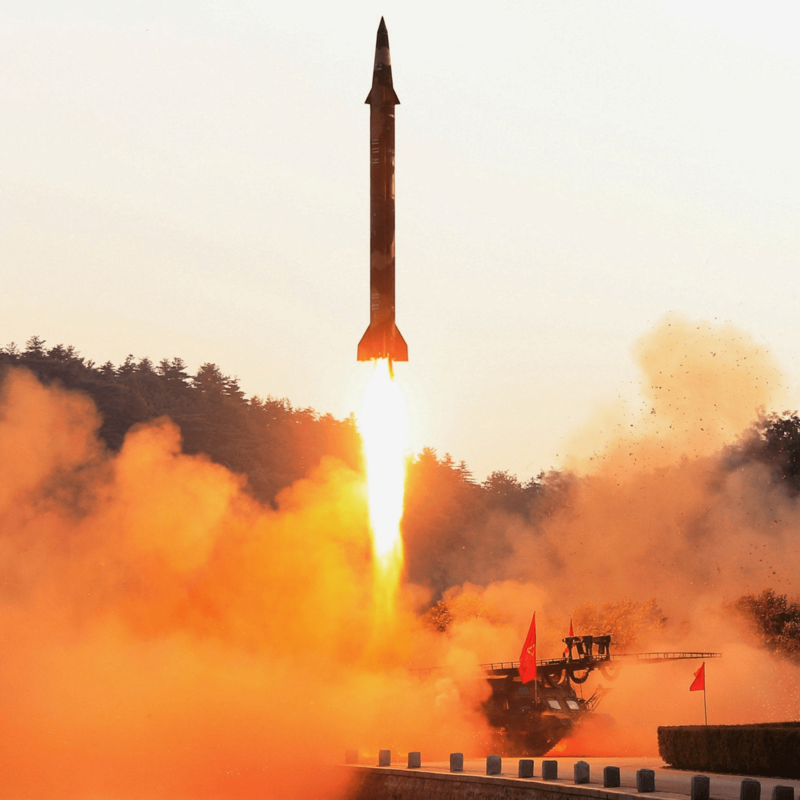 Ankit Panda, “Exclusive: North Korea Tested Its New Intermediate-Range Ballistic Missile 3 Times in April 2017,” The Diplomat, June 3, 2017, http://thediplomat.com/2017/06/exclusive-north-korea-tested-its-new-intermediate-range-ballistic-missile-3-times-in-april-2017/.